Robert B. 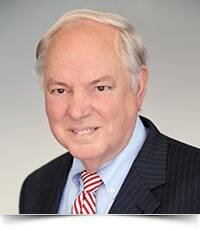 Young, Of Counsel, joined Reger Rizzo & Darnall’s Dover, Delaware office in June of 2017, after retiring as Judge of the Superior Court of Delaware earlier that year. As Of Counsel to Reger Rizzo & Darnall, Mr. Young is available to provide mediation, arbitration, court-appointed master and other alternative dispute resolution services. During his 12 years on the bench, Judge Young presided over numerous significant civil and criminal cases. He also served as the presiding officer of the Kent County Mental Health Court. Mr. Young served through his term as Judge on the Superior Court, one of only 20 people to do so from Kent County since the inception of the Delaware Superior Court in 1831, until April of 2017. Prior to joining the Superior Court, Mr. Young was an active trial lawyer for more than 35 years. He began his career practicing in Dayton, Ohio in 1969, and was later admitted to practice in the State of Delaware in 1975. He opened his practice in Dover, Delaware, and was joined in 1996 by his son, where they practiced as Young & Young. That office was maintained for more than 30 years, until his appointment to the Court on February 17, 2005. Mr. Young is the past president of the Delaware State Bar Association and the Delaware Chapter of the American Board of Trial Advocates. He is active in numerous state and federal legal organizations, including the American and Kent County Bar Associations, as well as several task forces, such as the Governor's Task Force to Draft Handicapped Accessibility Legislation and the Delaware Superior Court Task Force on the More Effective Use of Juries. Mr. Young also has written six musical comedies raising funds for Delaware's Combined Campaign for Justice, a non-profit organization committed to helping people of low income families and individuals deal with traumatic events, including hunger, poverty, homelessness and abuse, among others. Greentree Graduation Speaker. Department of Corrections. Mentoring for New Lawyers. The American Bar Association’s National Convention. Evaluating Physicians: Legal Perspectives. American Academy of Disability. Bill of Rights Bicentennial Speaker. Delaware Heritage Commission. Claim Investigation. State Farm Insurance Companies. Delaware Soft Tissue Injury. The National Business Institute. Jury Reform. American Inns of Court. Forensic Medicine. Kent County Bar Association. Examination of Witnesses. The Delaware Trial Lawyers Association. Multi-disciplinary Practice. The Delaware State Bar Association. HB 461--Jury Alteration. The Delaware State Bar Association. Ethical Consideration of Multi-disciplinary Practice. The Delaware Trial Lawyers Association.